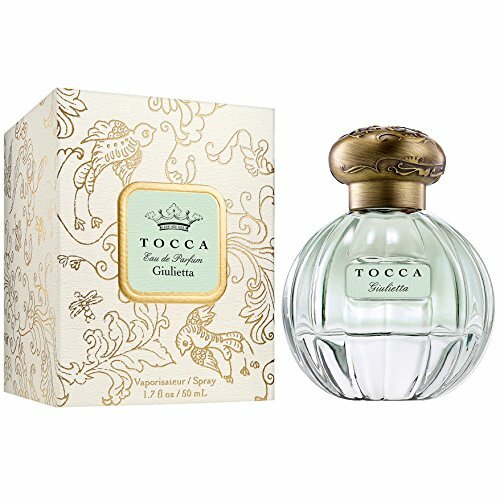 Inspired by the love story of Italian director Federico Fellini and his wife, Giulietta Masina, Tocca's Giulietta is a sweet, floral scent reminiscent of the couple's holidays spent on the island of Corsica. Sweet top notes of ylang ylang, green apple, and pink tulips bloom into the floral delicacy of lily of the valley, vanilla orchid, and lilac. The essence lingers, leaving the skin with a hint of pink tulips and amber.Notes:Bulgarian Rose, Ylang Ylang, Green Apple, Pink Tulips, Lily of the Valley, Iris Pallida, Vanilla Orchid, Lilac, Heliotrope, Cedarwood, Musk, Amber, Sandalwood.Style:Refreshing. Feminine. Delicate. If you have any questions about this product by Tocca, contact us by completing and submitting the form below. If you are looking for a specif part number, please include it with your message.